Passed away peacefully on March 6, 2019 at 105 years of age. Reunited with her beloved husband Germain (1998). 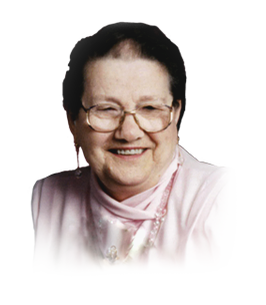 Cherished mother of Jeanne Lacasse and the late Bertha Schofield (2017). Adored mémé of Rick, Mike, Pat, and Danny Lacasse; David Schofield, Karen Hearn, Glen Schofield and their families. Dear great-mémé of 12 great-grandchildren and 3 great-great-grandchildren. Loving daughter of the late James and Ursule Guignard. Angelique was the 22nd of 24 children, whom have all predeceased her. She was an extremely talented seamstress, a fabulous cook and will be sadly missed. Thank you to the wonderful staff of Richmond Terrace TLC. If you so desire, donations to the Hospice of Windsor would be appreciated by the family. There will be a procession to Heavenly Rest Cemetery following the church Mass. Burial at Heavenly Rest Cemetery will follow the Mass.